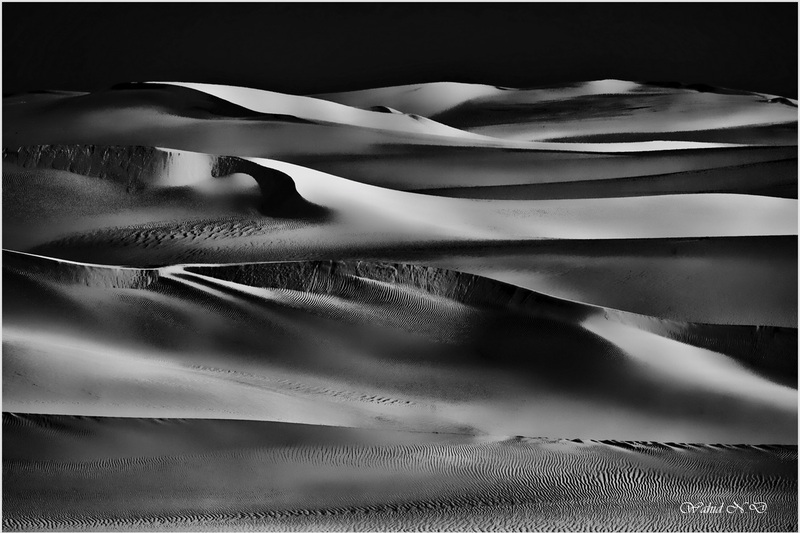 Sand Dunes, Western Sahara, Egypt. Beautiful black and white lines! Thanks a lot, Islamgazin Ilfir.